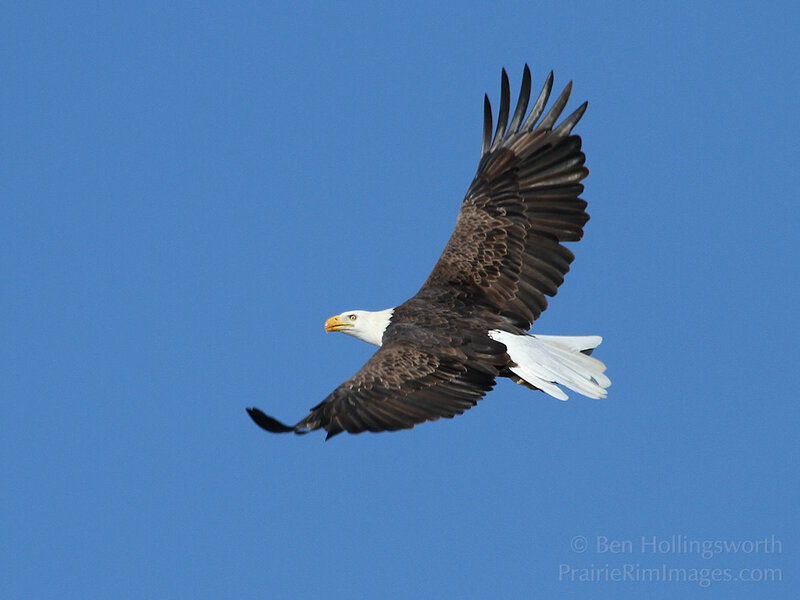 Every winter, as the weather gets colder in the northern USA, the Mississippi River freezes over, and thousands of bald eagles lose access to their primary food source. They then fly south in search of open water in which to fish. The Army Corps of Engineers operates two dozen or so locks and dams along the Mississippi to facilitate shipping access. As the water passes through each dam, the resulting turbulence prevents the water just below the dam from freezing and also stuns the fish as they pass through. That's a double bonus for the eagles, so they congregate by the hundreds at the base of each dam during the cold, winter months. This creates a target-rich environment for bird watchers and photographers. My daughter and I recently drove six hours each way to take in this spectacle for ourselves.